The legal industry is extremely competitive. It’s impossible to stand out among all the companies spending many millions between them to reach the same clients as you. But what if I told you that’s not true? What if I told you that right now the opportunity exists to to cut through the noise and have clients coming to you regularly without any extra effort from you? 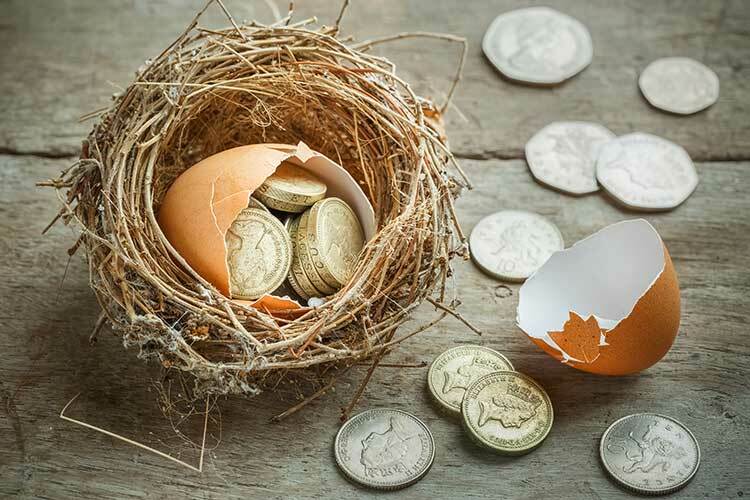 What would that mean for you and your firm? Could you open a new branch? Hire more solicitors? Invest in your infrastructure? Take a holiday on the back of a job well done? I promise you this is different. It’s not just more of the same – this is the missing link you’ve been waiting for. If something hasn’t worked for you before, this will help you see why. If your current digital marketing is going okay but could be better, this will take you to the next level. If you’re starting with a blank slate, this is the definitive template to follow to get it right. How to consistently reach the maximum number of people who are highly motivated to sign. 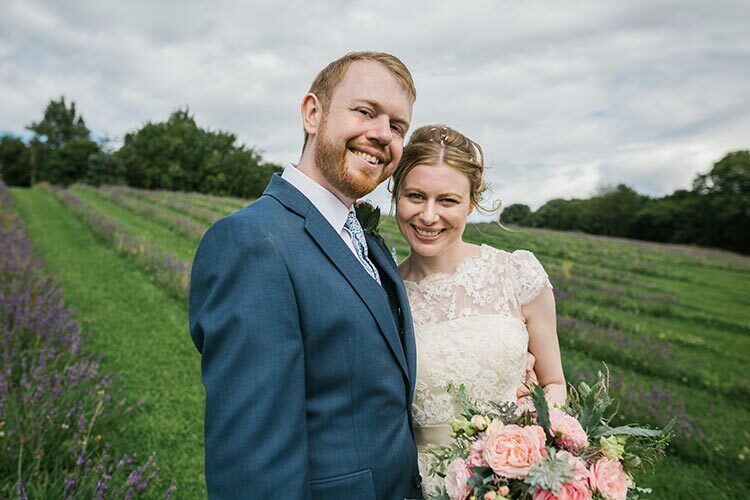 Simple, really – by seeing what’s involved (and how well we understand it) I’m hoping you might consider becoming our client so we can do it for you. 1.0.1 Heard it all before? 1.3.1 How Many Clients Can You Actually Reach Online? Soon I’ll show you Slater Gordon’s impressive results to the tune of £4M/month. Their digital marketing is missing something vital and they are not alone in this. Right now there exists an amazing opportunity to get (and stay) ahead of competitors who aren’t taking action. It’s the sort of opportunity that, done properly, can position a law firm to consistently generate clients for years to come. You’ll come to see that Slater Gordon have invested a lot of money and expertise into their digital marketing but are still falling drastically short in the single most important area. They are either nowhere to be seen or wish they weren’t. I’m going to show you why they are underperforming, why it’s such a colossal mistake and how to do much better. This opportunity exists because of a big fat lie that’s being pushed by one of the biggest and best known companies in the world. But what is it, who are they and why would they do that? You’ve heard something like that before, right? Why is this such a popular line? Simple – because it’s Google’s line and they are pushing it hard. But because they are who they are, people follow it blindly. What is Google’s true motivation in telling people to ignore their search engine when creating content? Google have made their money and their reputation by being better at organising online content than anyone else. The ease and accuracy of finding that content keeps users coming back so Google can keep charging advertisers to reach them. That’s why Google want sole responsibility for organising your content. They don’t want you or anyone else to have any influence on what they do. Even Google don’t have the manpower to police the entire internet. So instead they set so-called ‘best practice’ guidelines that everyone is supposed to adhere to in order to benefit from Google’s favour. And millions of people follow those guidelines and millions of people fail. There are only ten places available on page one, after all. Trusting Google implicitly is the single biggest reason I see for failure. 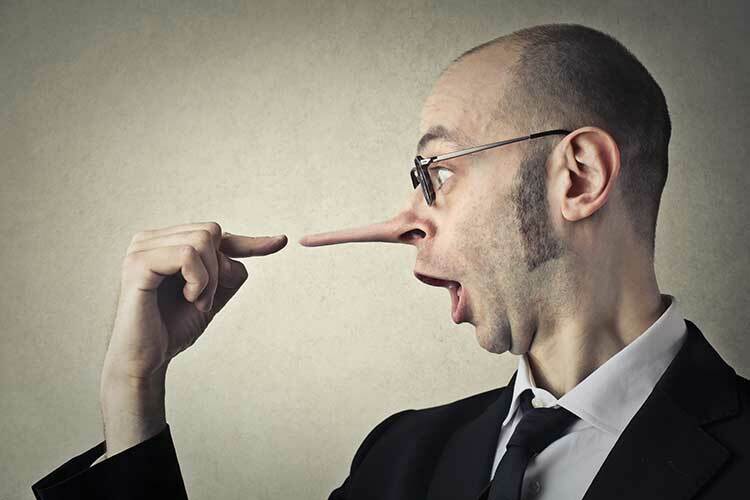 So should you go against Google and ignore everything they say? No – that’s not what I’m saying. What I am saying is that there are certain things that even Google can’t do anything about, no matter what they say. Being aware of these things will give you an edge. I’m going to show you what they are. How Many Clients Can You Actually Reach Online? Did you know that 87.9% of people in the UK use the internet? If you’re anything like me you’re surprised it’s that low and it will come as no great shock that it’s growing as younger generations become increasingly tech savvy. 6.46% of visitors becoming enquiries. 30% of enquiries becoming clients. If each client is worth an average of £2,000 then they’ve generated £3,574,200 of revenue in one month from their organic search alone. Add in Adwords and that’s 2012 clients/month and £4,024,000 revenue every month. Second only to the Citizens Advice Bureau and outranking the Google Map Pack. In the Google Map Pack for our location near Newcastle upon Tyne. In fact, Slater Gordon perform well for 937 ‘injury’ related keywords (which you can download as an Excel spreadsheet here) – a combination of keywords worth almost £2,000,000/month. So it’s safe to say that they are doing something right and I’m going to show you exactly what that is. We’ve seen Slater Gordon perform well for a very competitive search of ‘personal injury’ – but what is someone that types that looking for? 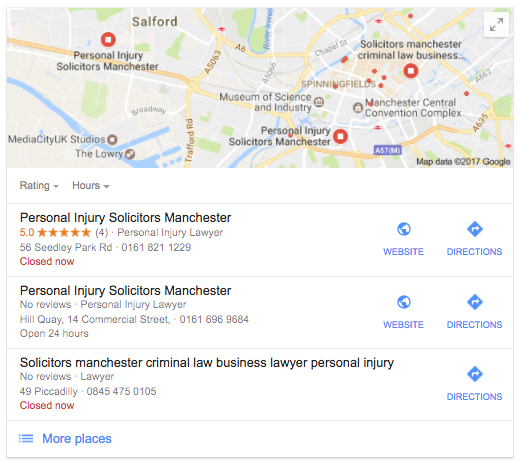 However, someone who has searched ‘personal injury solicitors’ clearly has more buyer intent and is much more highly motivated to sign. A higher percentage of those people will actually become clients. 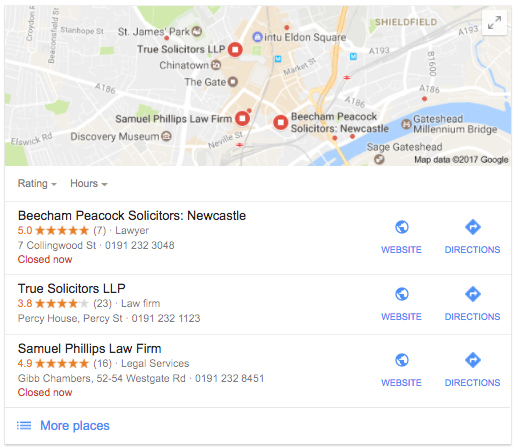 Google treats legal service based searches with local intent. 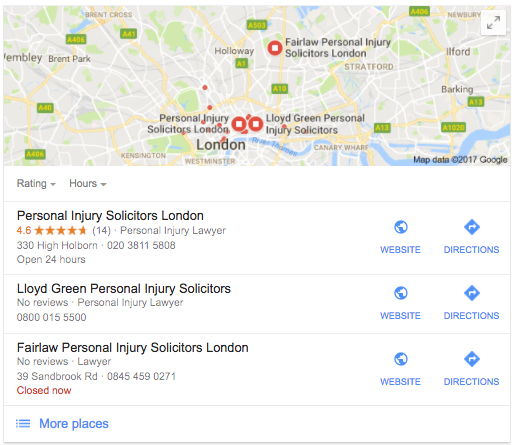 Wherever you search ‘personal injury solicitors’ you will see the listings of law firms nearby. Competing with Slater Gordon on the broad ‘personal injury’ style keywords would be incredibly expensive and unlikely to yield a positive return (though when successful it would raise huge brand awareness). 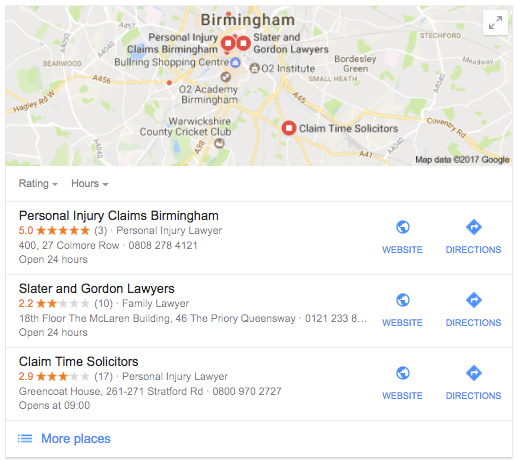 But Slater Gordon and the majority of competitors have failed to properly maintain a presence for searches of ‘personal injury solicitors [location]’. 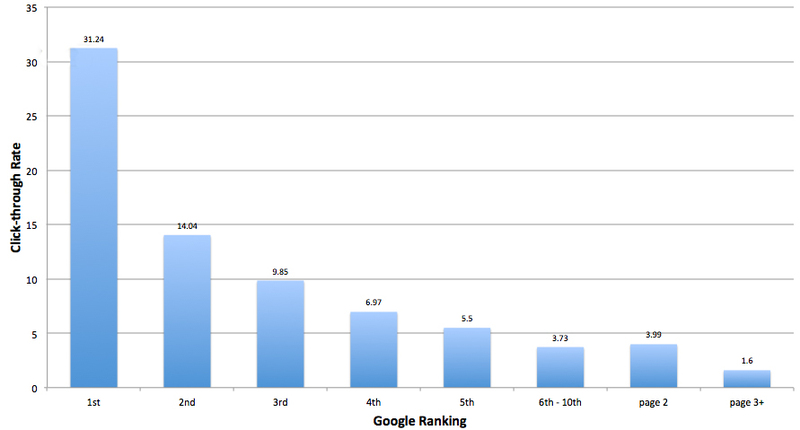 95% of all traffic goes to the unpaid organic rankings, which is what leads to most of Slater Gordon’s online revenue. Even though PI searches are worth over £2M/month, they are getting £1.2M worth of traffic because not all of those searchers will visit their site. That means the traffic and revenue numbers we’re seeing come down to the prominent positions they maintain in Google for high value, competitive keywords. Because with local search comes the Google Map Pack (aka Google My Business) listings. These are given pride of place above the organic rankings – second only to paid ads they are a very powerful source of highly motivated, local prospects. But with only three spaces available this is where Slater Gordon (and many other companies) are making huge mistakes and leaving the market wide open. This is the biggest digital marketing opportunity in the legal industry right now and it’s what I’ll be concentrating on. By going more specific and local there is plenty of room to outperform even corporate competitors. Why other people’s websites are the most important thing when it comes to you getting clients online. How many of your competitors do you think know this? How many have read this page and how many will take action on it? I can tell you that the average standard of this stuff right now is not good. Even the above average ones don’t get all of this right to catastrophic effect, as you’ll see. It’s changing slower in the UK than it is in the US, which is great because it means there are tried and tested strategies coming out of America that are at least 12 months ahead of what’s going on here. Far be it for me to generalise, but I think it may be true that our tendency towards being more reserved means fewer chances are taken which leaves gaping opportunities like this for those that act. Having said that, a lot of what I’m about to show you is becoming better known, better appreciated and better implemented. The more that competitors implement these things, the further ahead they will get and the more catching up there is to do. Every day it gets a little bit easier for those who take action and a little bit harder for those who don’t. That’s why the best time to start was yesterday – otherwise today will have to do. Well, I’ll show you next time – until then I hope this has proved helpful and thanks for reading! PS Well done, you’ve made it all the way to the end. If you liked it I’d really appreciate a share on social media. It pays to read these things to the end – enjoy!